Last spring, I attended a training on the strengths-based initiative that our school would implement this year. I was surprised to learn that we would focus on what is strong, not what is wrong. This idea presented a huge shift in my mindset because, historically, teachers have been trained to identify areas of weakness and provide remediation rather than pinpoint areas of strengths and provide reinforcement. But a shift in mindset alone was not enough to transform a school and a culture. The following is a glimpse into the intentional experiences we created and explored to truly bring strengths to life in our school. Before we began implementing this initiative at our school, each staff member took the Clifton StrengthsFinder assessment to identify our top five Signature Themes. As staff began to discover their personal strengths, I immediately noticed a shift in the culture throughout our building. Teachers were talking openly about their strengths, providing examples of how they use their strengths both personally and professionally and comparing their strengths with colleagues. Our focus centered on ways to use our natural talents and to do what we do best every day. Ongoing professional development, individual coaching sessions, and team building were essential components to ensure that staff remained highly engaged and applied the principles within each instructional team. 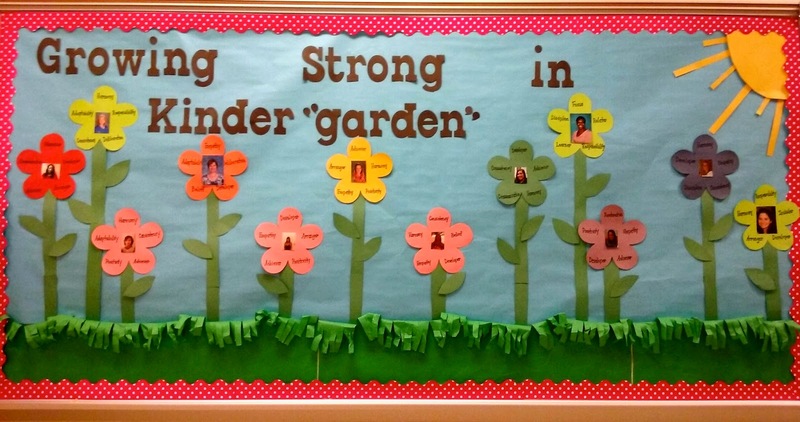 Our kindergarten team possesses a wide range of talents and strengths. As we engaged in strengths-based conversations, we realized that the key to our effectiveness was the direct result of our strengths in action. For instance, my top Signature Theme is Maximizer. This means that my primary talent is to focus on the strengths of others to stimulate personal and group excellence. My colleague’s top Signature Theme is Restorative. This means that she is very strong at figuring out areas of deficit and resolving problems. Upon closer examination, we discovered that her strongest talent is my weakest strength! Many people would assume that because of our seemingly opposite strengths, we would clash often, but this is not the case. In fact, because these are complementary themes, we have the ability to offer multiple approaches to solve common problems more efficiently and productively. Just as teachers are finding more ways to engage with strengths, students in fourth and fifth grades have taken the StrengthsExplorer assessment to reveal their three strongest talents and abilities. One of my favorite components of the strengths-based initiative is its emphasis on identifying and cultivating student strengths. Our school has implemented a number of school-wide activities to empower students to begin to use their personal strengths every day. 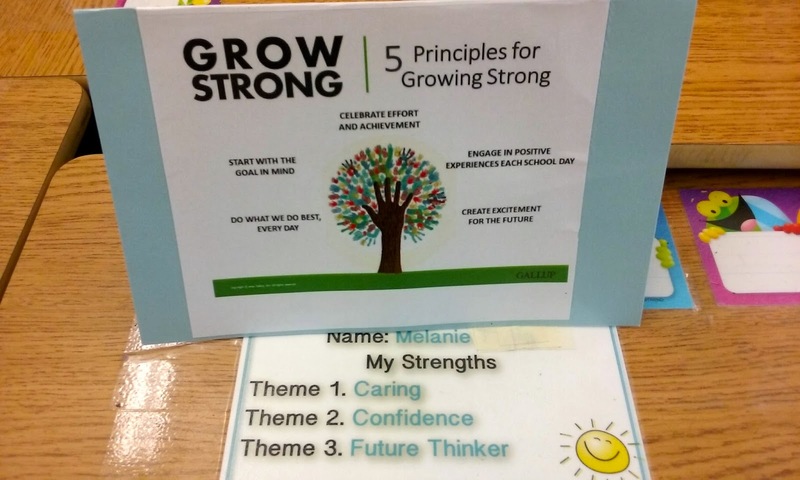 We have a series of weekly videos that focus on the “Five Grow Strong Weeks,” students have “table talk” conversations about their strengths during lunch, and there are strengths nametags on desks and families receive suggestions to help foster their children’s strengths at home. In our classrooms, teachers are using strengths to teach in innovative ways. In Amanda Pagnotta's fourth grade class, student cooperative learning groups are now structured according to individual talents and strengths. along with each teacher's top five themes. When we first began the strengths-based initiative this year, I certainly underestimated the transformation that would take place in our school’s culture. Now that strengths are highlighted and encouraged on a daily basis, I regularly hear conversations framed around talents as opposed to deficits. As teachers, strengths provide a larger frame of reference for understanding our students, our colleagues and ourselves. For students, strengths-based education offers an opportunity to build upon powerful inner talents that will continue to develop throughout life. These experiences are indeed essential because they will transcend any other lessons, unit plans, or projects that teachers can provide in school. 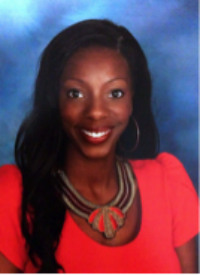 Rachel Edoho-Eket is the Kindergarten Instructional Team Leader at Ducketts Lane Elementary School in Elkridge, Maryland. Her top five strengths are Maximizer, Arranger, Communication, Developer and Achiever. She can be reached at rachel_edoho-eket@hcpss.org. Loved reading the blog. How fortunate for the students in your school to have their strengths identified and utilized to increase their learning. What a motivation this must be for students to engage in deeper learning experiences.